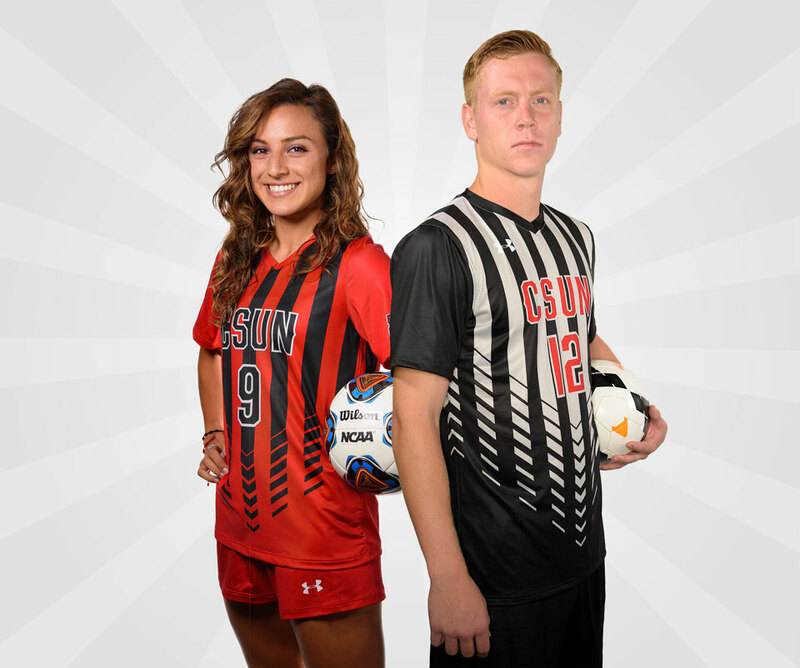 Cynthia Sanchez and Shane Steffes were key contributors to the successful Matador women's and men's soccer teams. Photo by Braden Villanueva. After scoring the game-winning goal in a 1-0 double overtime victory over Hawaii on Oct. 30, Kourtney Kutscher is carried off the field holding the Big West Conference regular-season championship trophy. Photo by Kevin Strauss. The CSUN men's soccer team celebrates winning the Big West South Division's regular-season title following a 1-0 overtime victory over UC Riverside. Photo by Kevin Strauss. 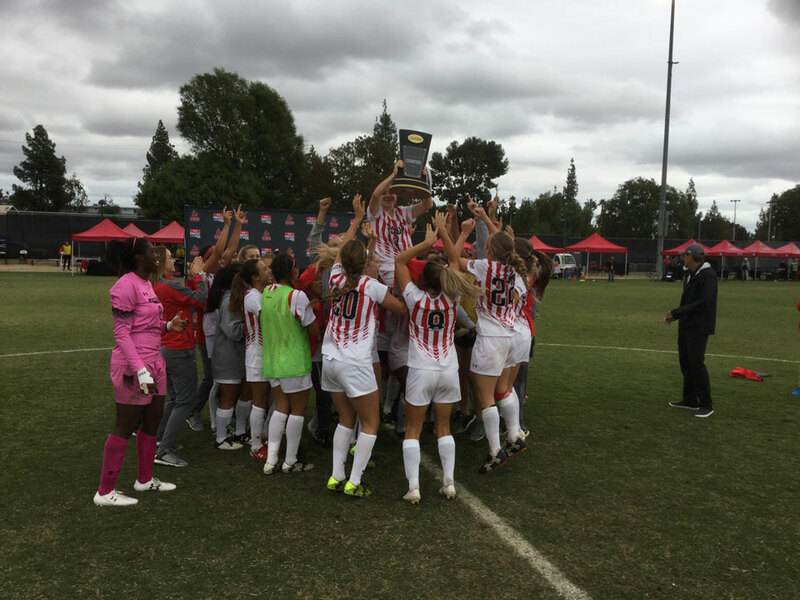 CSUN soccer fans got a double dose of championship flavor, as both the women’s and men’s soccer teams captured regular-season conference championships. The Matador women’s soccer team finished the regular season 11-3-5 overall and 6-1-1 in conference play, good for the Big West Conference regular-season title. CSUN was led by goalkeeper Jovani McCaskill, who set the school record with 14 shutouts. Lindsay Kutscher led the team with four goals, while Kourtney Kutscher, Cynthia Sanchez and Camille Watson knocked in three goals apiece. Unfortunately, the Matadors’ season ended just shy of the NCAA Tournament after they lost a 1-0 heartbreaker to Long Beach State on Nov. 3. 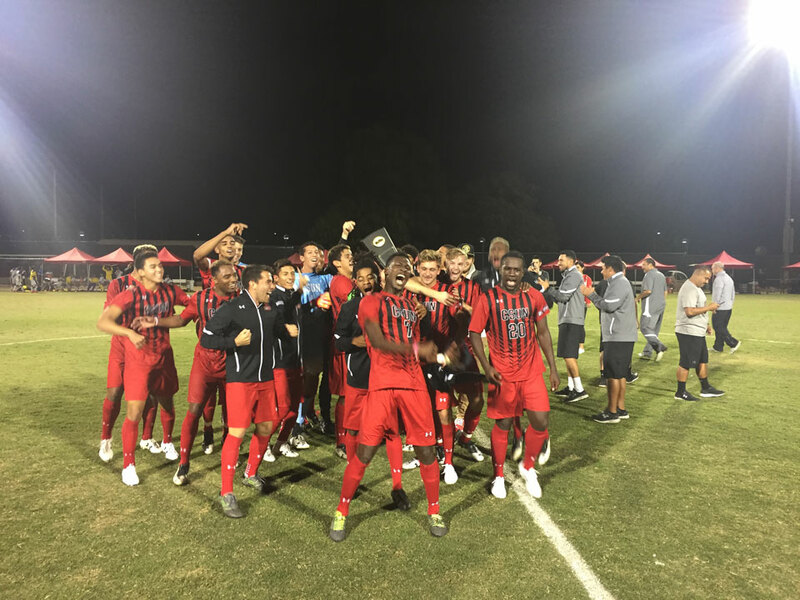 The CSUN men’s soccer team finished the season 8-6-4 overall and 5-2-3 in the Big West Conference, which paced them on the way to a South Division title. Juan Samayoa led the team with six goals and six assists, and Kevin Marquez was the stalwart in the goal with three shutouts. Shane Steffes was CSUN’s 2016 male scholar-athlete of the year. The Matadors host Sacramento State on Nov. 9 at 7 p.m. at Matador Field. For the latest in postseason soccer information, go to Gameday Central.